We pair our favorite Lone Star State wines with our favorite Dallas dishes. Happy Texas Independence Day! Today we celebrate our history, heritage, and the unique flavors of the Lone Star State. Did you know there is a petition being discussed to make tacos the state food of Texas? Do you agree? I like tacos, but I feel chili, the current state food of record, or barbecue would make a better fit. Or Tex-Mex in general. In honor of this fine day, I have created a list of my favorite Dallas dishes and paired them with Texas wines. Consider these before signing the petition. If you are looking for an excuse to taste many Texas wines at once, put the Texas Wine Revolution on your calendar. You’ll find 35 Texas wineries pouring Texas-grown Rosé on April 2. I’m hoping Dallas’ #chefwithnoname has retained the rights to his Lobster Scallion Shooters. The heat of the curry pairs with a white wine with a touch of residual sugar. Wedding Oak Winery Sweet Asylum ($23), “Best of Class” winner at the 2017 San Francisco Chronicle Wine Competition, blends 74% Muscat Canelli and 21% Riesling and makes a fine accompaniment. You can’t discuss the best food in Texas without mentioning Chef Dean Fearing’s Tortilla Soup. Chef Dean suggests a Roussanne from McPherson Cellars ($20) with his spicy soup. Additionally, I would suggest Brennan Dry Rosé, ($20) blending hearty Mourvedre with Grenache. When produced as a Rosé, Mourvedre is tamed, allowing juicy, red fruit notes to shine. Chef Jim “Sevy” Severson of Sevy’s has been creating memorable meals at his namesake restaurant for over 20 years. His butter-poached lobster sends me to the moon. But try his Jumbo Scallops With Truffle Chive Butter with a bottle of Brennan Vineyards 2015 Reserve Viognier, ($25). The briny scallops, with the grassy notes from the chives, help this herbal, stone fruit filled wine pop. Chef Stephan Pyles is known for many iconic Dallas dishes, but I have always been a fan of his ceviche. 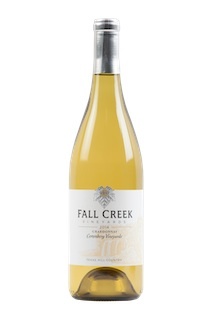 His Lobster Ceviche includes a layer of vanilla and fennel in an almond gazpacho which creates a beautiful pairing with Fall Creek Vineyards Terroir Reflection Chardonnay, winner of the “Top White Wine Overall” at the 2017 Houston International Wine Competition. There are so many barbecue spots in Texas. From local favorites Pecan Lodge and Lockhart Smokehouse to Franklin’s in Austin, Texas brisket is an institution. Enjoy your favorite with Pedernales 2014 High Plains Tempranillo, a “Top Texas Wine” and “Texas Class Champion” at the 2017 Houston Livestock Show & Rodeo Wine Competition. If you prefer DIY brisket, try Chef Richard Chamberlain’s Brisket with Texas Tomato & Peach Barbecue Sauce. Author Dotty Griffith celebrates Texas in her series of cookbooks which include recipes for everything from barbecue to enchiladas. Her as holiday book that features Texas holiday meals is my go-to book. In her most recent, “The Enchilada Queen,” written with Sylvia Casares, Dotty shares recipes for Cheese Enchiladas with Chili Gravy and Stewed Chicken Enchiladas with Salsa Mole. Pair both with Duchman 2012 Aglianico, ($30) winner of “Grand Star, Best of Show” at the 2016 Lone Star International Wine Competition. 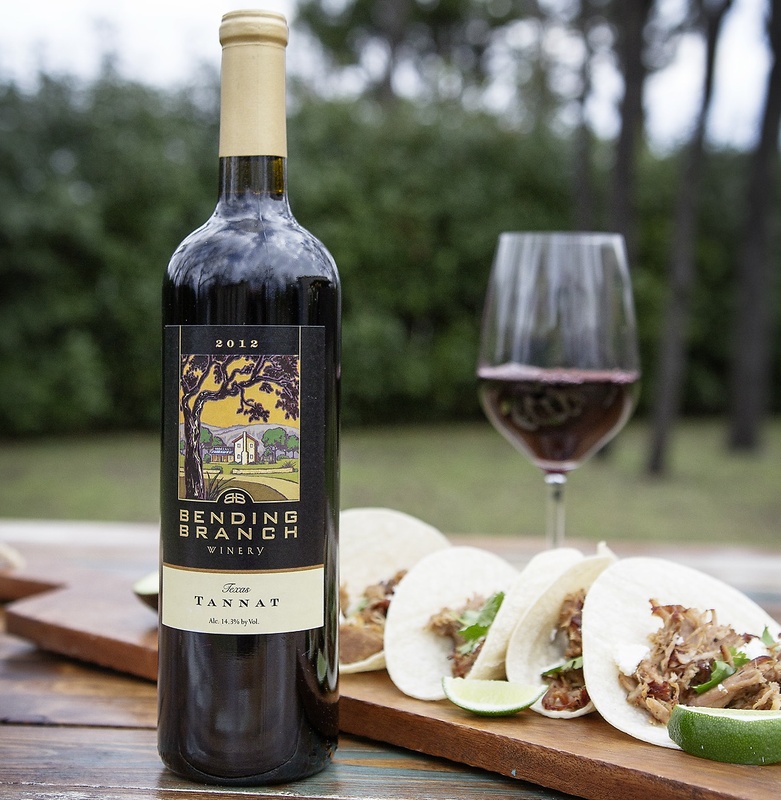 Bold and concentrated, Bending Branch Winery Tannat ($30) is ideal with pork carnitas from Texas Monthly wine and food writer, Jessica Dupuy, from her book, United Tastes of Texas. If we are going to talk about the state food of Texas, we can’t leave meat out of the discussion. Try Roasted Prime Rib, from Chef Chris Ward of Mercury with a hearty wine, like William Chris Malbec Lost Draw ($40) or Reserve Cabernet Sauvignon ($20) from one of our oldest wineries, Llano Estacado. End your favorite Texas meal with a dram of Firestone & Robertson Texas Whiskey from Ft. Worth owners Leonard Firestone and Troy Robertson. The two began their distillery in 2009 out of love of good whiskey, and a desire to create a premium whiskey in North Texas. 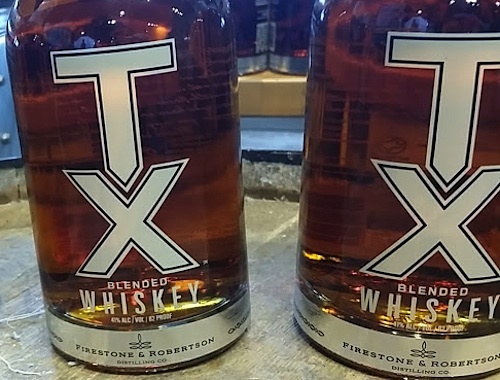 Their original Texas Blended Whiskey and their new Texas Straight Bourbon. Both are produced with grains grown in Hillsboro grown grains, Texas water, and a proprietary yeast derived from Texas pecan trees. I’d call that a perfect sip of Texas.